Gingerbread is a classic flavor for the holiday season, and with Christmas coming we opted to do a little something different this year. 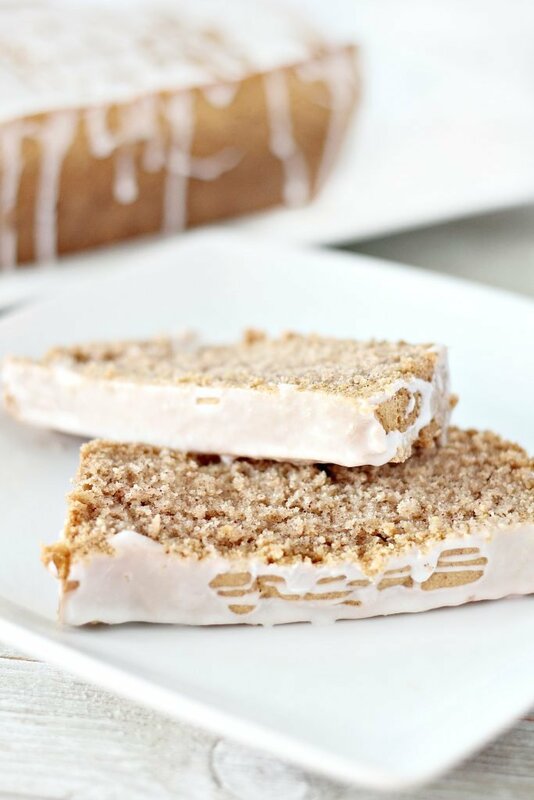 Instead of making the traditional cookie, we went for a soft, dense cake like loaf coated in a sweet sugared glaze. Sliced and served, this Glazed Ginger Bread Loaf is sure to become a new holiday tradition of yours too! When the Winter weather comes callin’, we go running straight for our biggest pot & our favorite batch of hearty chili. Obviously, no bowl of chili would be complete without a serving of cornbread. 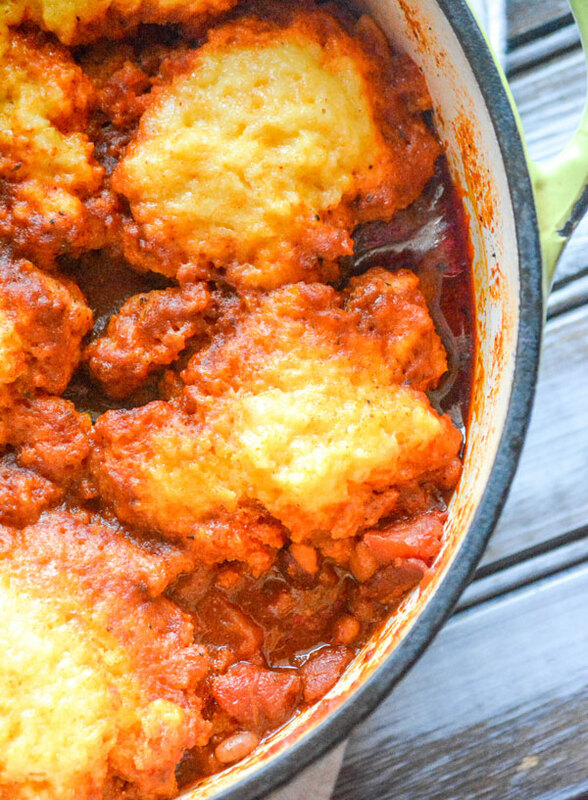 Skip the extra steps and combine the two with these yummy, savory Sour Cream Corn Bread Dumplings. It seems like more and more people are turning to hand tossed pizza style dough, but I still prefer the pan style crusts from when I was a kid. These Easy Cast Iron Pan Pizzas with Perfect Crust have the best crispy, oiled golden brown crust. Fix ’em up with your favorite toppings for an easy, at home experience you won’t soon forget. Get as excited about the great food as your are about the Big Game with this fun new way to feed your guests. 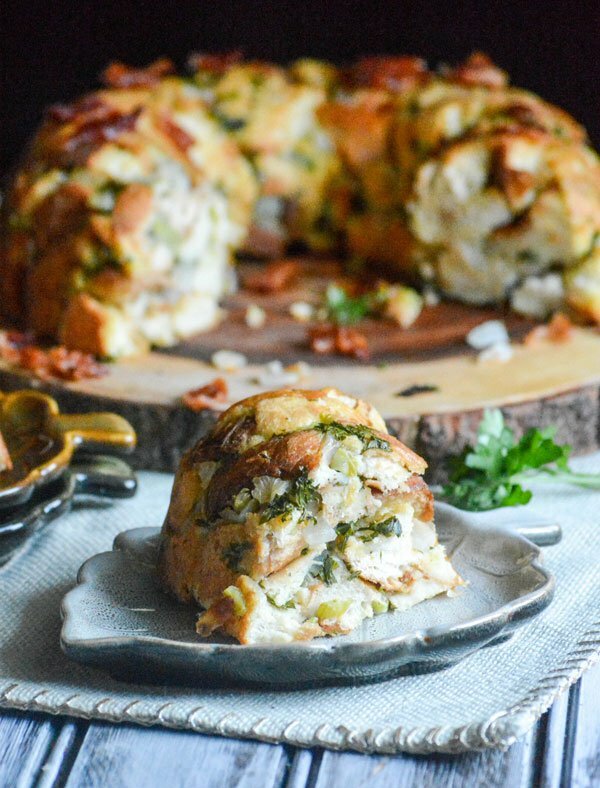 Our Ham & Pimento Cheese Bundt Pan Sub Sandwich is quick & easy making it a perfect party appetizer or lunch. It’s a yummy win for everyone! 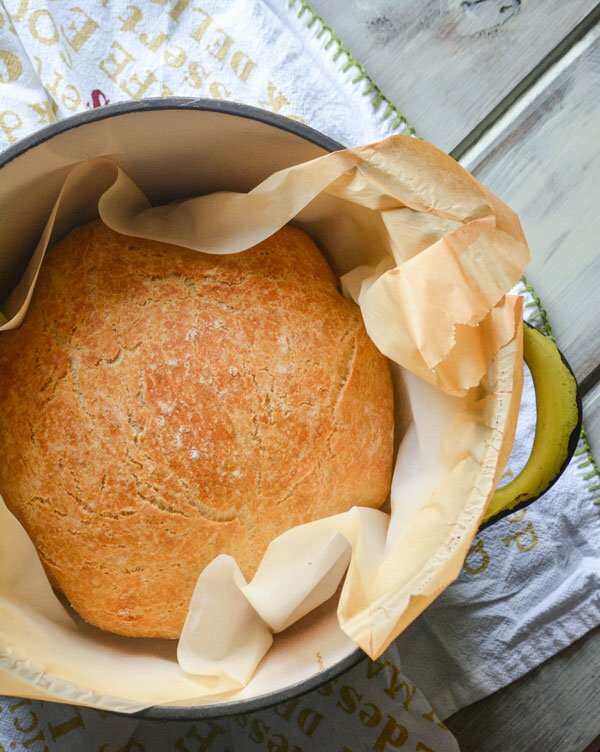 Never buy store-bought dinner rolls again. 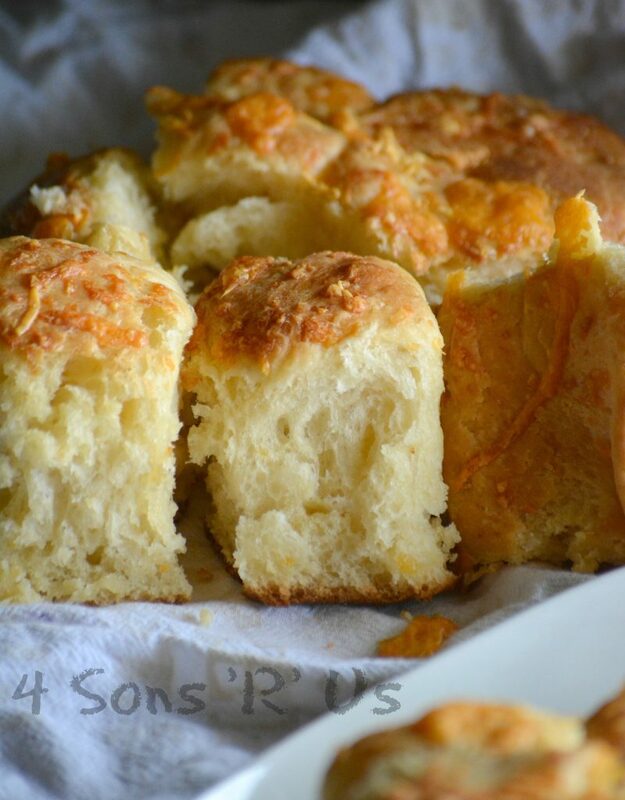 I kid you not, these Cheddar Potato Pull Apart Rolls are quick & easy to whip up, with simple instructions and rise times, for fool proof from scratch bread to serve with meaty family meals. You’re guaranteed to see them on our table for Thanksgiving, Christmas, and even Easter. Football can be such a hot topic, it really can see a house divided. Unite everyone behind one spectacular dish with this Pull Apart Pretzel Bread & Honey Mustard Dip. Buttery, salted, golden brown pretzel bites are easily pulled apart and dipped in a lightly spiced honey mustard for an awesome appetizer every one will want to get behind. 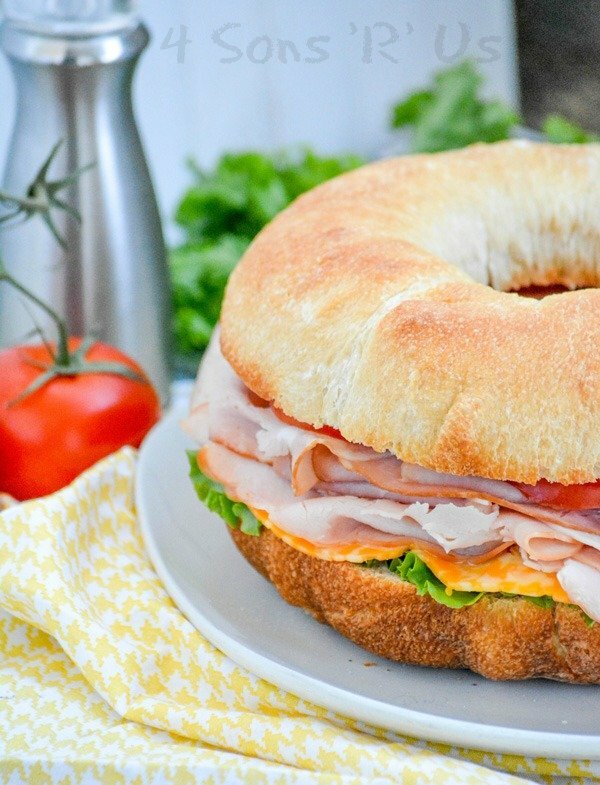 The perfect party food, this Cold Cut Bundt Pan Sub Sandwich is the fun new way to enjoy a sandwich. It’s club style makes it a great grab and go option for game day, but easy enough for the family’s lunch or dinner. Is it breakfast? Dessert? A snack? 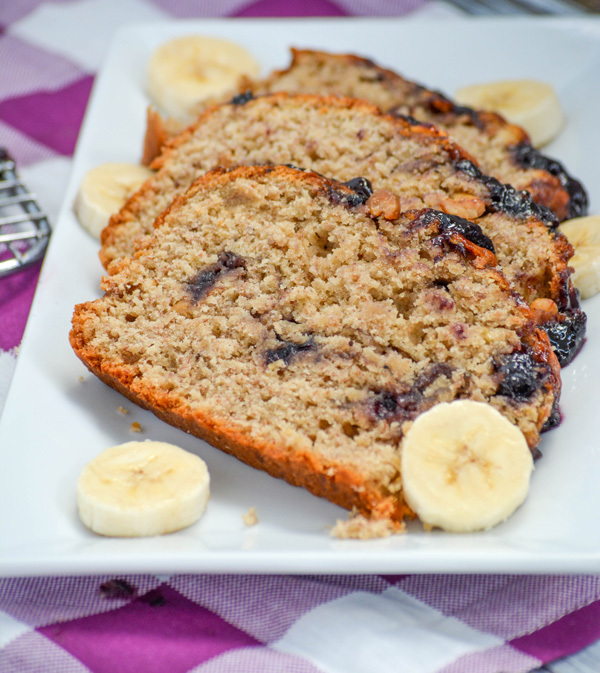 This quick and easy Peanut Butter & Jelly Banana Bread is all of the above, and it’s amazing. Featuring a classic flavor combination, it’s an epic treat for you and your kids. Banana bread will never be boring again.